Externally corrugated with a smooth internal bore, these purple HDPE twinwall ducts conform to BS EN50086-2-4. Available in lengths and coils suitable for all road network cabling. Produced to BS EN 50086-2-4. Lengths fully compliant with Highways Specification & BBA approved. 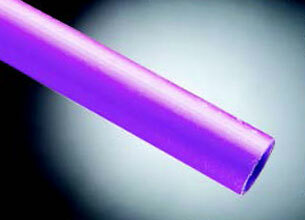 These purple solid wall Polyethylene ducts conform to BS EN50086-2-4. They are ideally suited for directional drilling under roadways. Alternative sizes available subject to minimum quantities. Produced to BS EN 50086-2-4.